Want some hot paranormal romance to fall in love with? 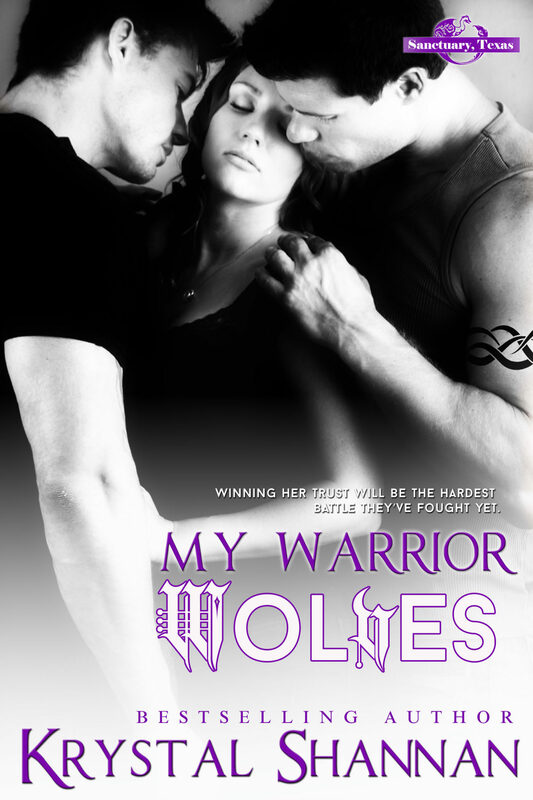 Check out the latest release in my Sanctuary, Texas series, My Warrior Wolves. These two brothers will do anything for Charlie, but will happen when her pack turns on her? Only they can ignite her animalistic fire. Still grieving and trying to pick up the pieces of her shattered life, Charlotte “Charlie” Mason attempts to rebuild after a tragic loss. But when she's betrayed by her uncle and finds herself in harm's way, the courageous she-wolf must enlist the help of the two men she sent away–the same two men who left with what remained of her broken heart. Trying to resist the temptation to go back, Travis and Garrett McLennan can barely control the desire building within them–a desire only Charlie alone can satisfy. When the wolf brothers receive her cry for help, they know that the time has finally come and their shared mate needs them now more than ever. But with danger knocking on the threshold, can they get to her in time, saving her while holding on to what they both want?